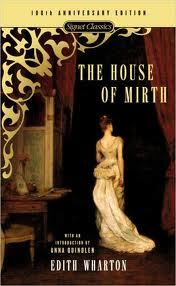 Setting in House of Mirth research papers look at how Edith Wharton uses setting in the novel. The historical setting of the House of Mirth is important in that it takes place at a time in American history when there was a high degree of immigration. The wealthy in America at this time were able to take advantage of this situation in that it afforded them low-cost servants. In addition, the use of various vehicles in the story such as motorcars and boats gives insight into the social status symbols the wealthy of the time used to set them apart from the rest. Lily grew accustomed to these extras life had to offer, and when she lost them, it not only served to create a forced lifestyle change but a reevaluation of who she was as a person. After Lily fails to find the social status and wealth she craves, she is forced to support herself by trimming hats in a fashionable shop. At this point, Lily is a social outcast. The scenery described as dreary New York tenements adequately reflects how Lily feels on the inside. Wharton uses this setting in New York as a symbol for all that was ugly and undesirable in America at the time of the story. The library is also used in the novel to set the backdrop for the courtship rituals. In this manner, books are not read but rather serve as a ruse for flirtation. Even though Lily uses libraries and books in this manner for her own purposes, she overlooks this when Selden and Mrs. Dorset are found in the library together. Paper Masters writes custom research papers on Setting in House of Mirth and look at how Edith Wharton uses setting in the novel.